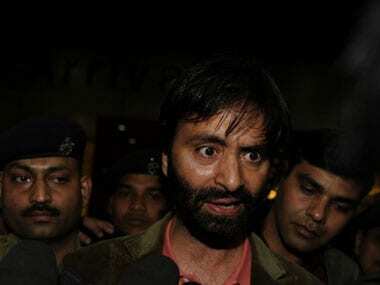 The police detained Jammu Kashmir Liberation Front (JKLF) chairman Mohammad Yasin Malik from his residence in Maisuma in Srinagar on Saturday morning, PTI reported. A police official said the JKLF chief has been taken into preventive custody ahead of Eid-ul-Fitr, and has been shifted to Central Jail in Srinagar. The arrest comes just 10 days after Malik was last arrested on 13 June, to prevent him from taking part in a meeting called by separatists in the Valley, moments after Hurriyat chairman Mirwaiz Umer Farooq and his secretary Shahid-ul-Islam were put under house arrest to restrain them from attending the same meeting. That arrest had come hours after Malik was released on bail after a week-long detention in a case related to the 1987 elections, and was picked up by police from his Maisuma residence and lodged at Kothibagh police station. 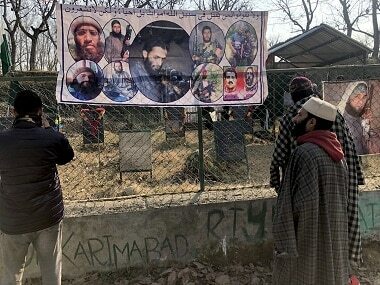 Earlier in June, separatist groups had launched an awareness campaign against the setting up of separate townships for Kashmiri Pandits and constructing Sainik colonies in the Valley. 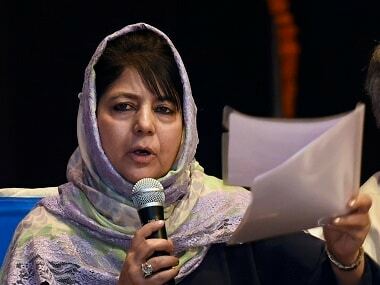 The PDP-BJP government in the state had categorically said there would be no separate townships for Kashmiri Pandits, but transit accommodation will be provided to them till the security situation improves in the region allowing them to return to their native places. It has also ruled out setting up any Sainik colony in Kashmir in view of "scarcity of land". 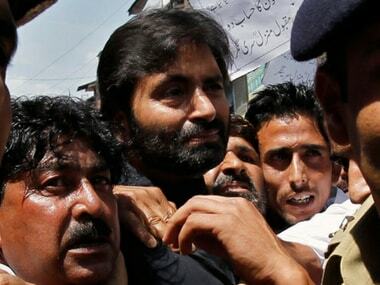 Yasin Malik was also detained earlier on 11 June in south Kashmir's Shopian district due to apprehension of breach of peace, according to police.